Featuring reigning SuperEnduro World Champion Colton Haaker, last year’s runner-up Alfredo Gomez and promising rookie Billy Bolt, Rockstar Energy Husqvarna Factory Racing enter the five-round 2018 FIM SuperEnduro World Championship firmly focused on defending Husqvarna’s status as a key player in the prestigious indoor enduro series. For Rockstar Energy Husqvarna Factory Racing’s Colton Haaker, the American returns to the series set on claiming the third SuperEnduro World Championship title of his career. Recovering from a recent elbow injury, which stopped him from defending his AMA EnduroCross Championship, Colton is highly motivated and looking forward to a positive return to SuperEnduro competition. Further strengthening the Rockstar Energy Husqvarna Factory Racing team is 2017 FIM SuperEnduro World Championship runner-up Alfredo Gomez. Winning half of the rounds contested during last winter’s series, the TE 300i powered rider will be a favourite for race wins in the upcoming championship. 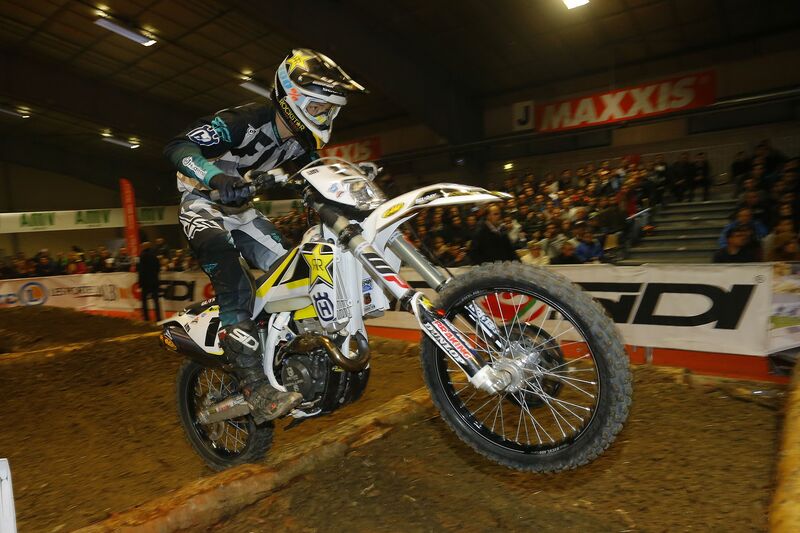 Completing the Rockstar Energy Husqvarna Factory Racing SuperEnduro team is 20-year-old Billy Bolt. Following a strong season of Hard Enduro competition, the young Brit is all-set to make his SuperEnduro debut aboard Husqvarna’s FE 350 machine. Contested over five rounds in four different countries, the 2018 FIM Superenduro World Championship starts on December 9 in Krakow, Poland.